Community Solar – A New Model for Local Ownership? A new report by the Institute for Local Self-Reliance (ILSR), Community Solar Power: Obstacles and Opportunities , examines nine community solar projects, the policies that made them possible, and the (substantial)barriers that remain. Successful community solar power projects in Colorado, Maryland, and North Carolina are knocking down the price of residential-scale solar photovoltaics (PV) by 25% and giving opportunities to renters and people with shady roofs a chance to go solar. While ILSR’s report found some successful community solar business models, there are others that lead to little or no ownership and others that defy easy duplication. The importance of community solar and its potential future role in expanding solar power ownership is underscored by data on solar PV potential, showing that while nearly every state could get 20% of its power from rooftop solar alone, only a quarter of residential rooftops are suitable for solar PV. Furthermore, one-third of Americans are renters, typically unable to put solar PV on their landlord’s roof. 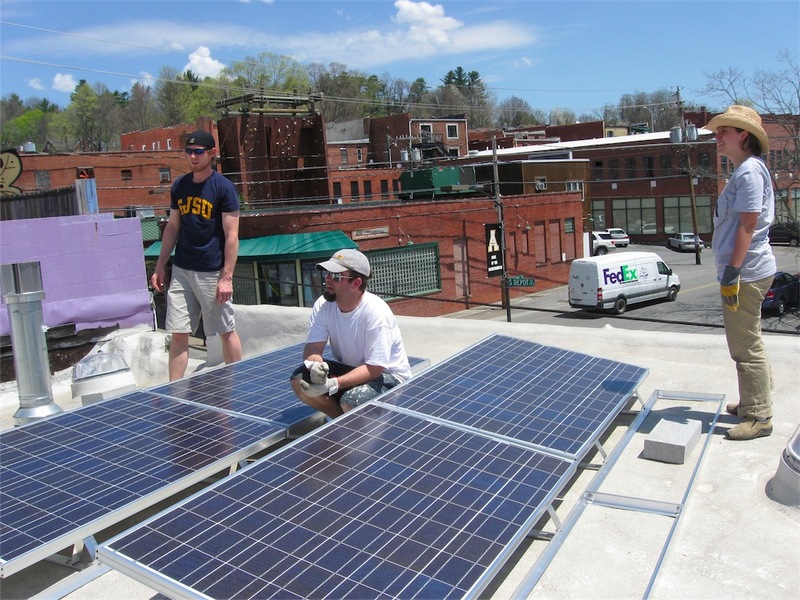 Community solar can provide a solution, allowing any person to invest in a rooftop solar PV system located on a neighborhood building and share the clean energy and financial benefits. “Some community solar business models were nothing more than typicalutility green pricing programs, where do-gooders pay more for green power without any return on their investment,” said ILSR senior researcher and report author John Farrell . “But we did find that some community solar projects can offer an affordable way to get your electricity from solar power while retaining a long-term ownership interest similar to having your own rooftop modules,” he added. For example, joining the Clean Energy Collective in Colorado cuts the cost of solar ownership by 30 percent compared to a home solar installation and pays back in less than 15 years. A University Park, Maryland, project built on a local church halved the cost of solar ownership and promises a 5 year payback on investment. And a Mt. Pleasant neighborhood solar cooperative in Washington, DC, has negotiated residential solar prices down over 25 percent, offering individuals a 2-year payback on a home solar installation. These paybacks and cost reductions are exciting but ILSR’s report highlights how these come about because of a suite of incentives, policy and other local factors. The story behind some of these projects is “a tale of overcoming adversity rather than a litany of success that can be easily replicated,” remarked Farrell.Community solar projects organized by nonprofit organizations or municipal utilities have to forgo federal tax incentives that can reducethe cost of solar by over 30 percent. Securities laws designed to protect people from bad investments put onerous restrictions on selling shares in community solar projects, even though community solar can offer a safer investment than an individual solar PV system. And community solar leasing arrangements used to avoid these obstacles have often created a new version of a green pricing program (costing participants more, rather than saving them money or creating ownership). Update: Our location grades sparked a good conversation about building-mounted v. ground-mounted PV systems. Read more here. We also revised the report to reflect this conversation about the location of solar power generation.